Opinion: What I Learned Leading America's 1st Nuclear Inspection In North Korea Joel Wit, a former State Department official who played a key role in negotiating and implementing the 1994 denuclearization deal with North Korea, writes about important lessons. In this Dec. 12, 2012, file photo released by Korean Central News Agency, North Korea's Unha-3 rocket lifts off from the Sohae launch pad in Tongchang-ri, North Korea. In 2018, North Korea's government said it would destroy the facility. Verification will require more than just photos snapped by orbiting spy satellites. The United States will need to send inspectors on the ground to ensure Kim's regime is living up to its word. I know from personal experience that will not be an easy task. Future inspectors in North Korea will have a tough challenge, dealing with a combination of cooperation, resistance and at times outright hostility as they try to accomplish their job. Here are some lessons I learned as one of the few Americans who has attempted to verify North Korea's actions from the inside. According to the 1994 deal reached by the governments of President Bill Clinton and North Korea's Kim Jong Il, the U.S. would trade energy assistance for an end to Pyongyang's production of nuclear bomb-making material and eventually its weapons program. 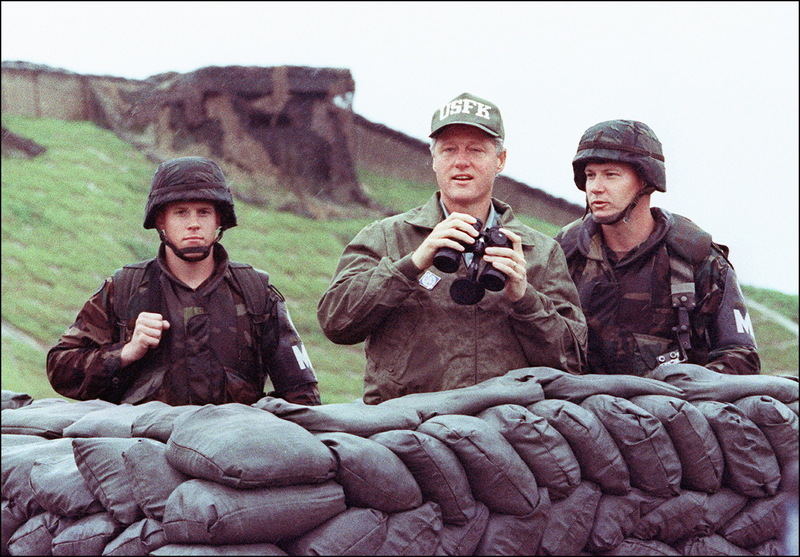 President Bill Clinton in a picture taken July 11, 1993, uses binoculars to look across the demilitarized zone into North Korea with two U.S. soldiers during his trip to South Korea. There were doubts about Kumchang-ri's real purpose. The Pentagon's Defense Intelligence Agency was almost alone in believing the evidence was damning; the Central Intelligence Agency and others saw it as circumstantial. A media leak about the bomb plant theory and a North Korean missile test launch over Japan only complicated the situation, calling into question whether the 1994 deal was worthwhile. Washington had to demand to see the suspected nuclear site, real or not, since uncertainty only gave more ammunition to opponents who wanted to upend the denuclearization deal. It took almost six months of talks in Pyongyang, Berlin and Geneva before North Korea agreed to allow an American team to visit Kumchang-ri. Our team flew to Japan, boarded a U.S. Air Force cargo plane, then on to Pyongyang airport and quickly through customs. We were loaded onto an old school bus and driven a short distance through the city to our hotel, escorted by police cars with flashing red lights. I was surprised. The North Koreans had been sensitive about anything resembling an "inspection," which they viewed as infringing on their national sovereignty, so they had insisted on a low-profile "visit" instead. Sitting in the front seat of the bus next to my Foreign Ministry acquaintance, I remarked with a smile, "Our visit seems to be anything but low profile." He quickly responded, "Maybe we should put a sign on the side of the bus that says this isn't an American inspection team." I was assigned to lead the first inspection of a suspected nuclear site in North Korea because of my on-the-job training as a member of the team that negotiated the 1994 deal and then overseeing its implementation, both of which involved working closely with the North Koreans. The first task was to recruit the right people for the job with nuclear expertise and practical inspection experience. A team of 10 inspectors was assembled quickly. It included scientists from American nuclear weapons labs but was dominated by a contingent of intelligence analysts, some with experience in the field, others desk-bound their entire careers. That would create problems later. Because the North Koreans were allergic to anything that smacked of spying, we tried to hide the identities of the intelligence contingent by issuing new diplomatic passports to everyone, standard procedure for State Department employees. However, the North Koreans were not fooled. Once we arrived, one of our escorts — an old Foreign Ministry friend — asked me in private with a wry smile, "Why are all of the team's diplomatic passports completely new except yours?" Nothing more was said, at least not initially. Then, the details of what the team could inspect had to be worked out with the North Koreans. They were quickly nailed down after talks almost collapsed over the North's suspicions that a high-tech laser device we wanted to use to measure tunnels was really meant to secretly gather intelligence. Their suspicions resurfaced later during the inspection. One night, our Foreign Ministry escorts dragged me out of bed after receiving an angry phone call from the soldiers at Kumchang-ri, accusing our team of espionage. There was a beeping noise coming from our equipment locker at the site that they thought was a hidden transmitter sending information back to the United States. In fact, one of the batteries had died. Then Secretary of State Madeleine Albright and North Korean leader Kim Jong Il stand side-by-side at the Pae Kha Hawon Guest House in Pyongyang, North Korea, on Oct. 23, 2000. American intelligence agencies had been watching Kumchang-ri for months so we had a great deal of information on activities at the site. Days before leaving for Asia, analysts from the Defense Intelligence Agency who believed North Korea was cheating briefed our team. They rattled off secret information they thought proved the site was intended to house a secret nuclear facility. That information covered everything from satellite photography to calculations on the volume of dirt piles near the suspected site that helped them reach conclusions about the size of the underground areas. The session's climax was the unveiling of a scale plastic model of the mountain at Kumchang-ri. The peak was removed revealing an underground cavern complete with a nuclear reactor capable of producing bomb-making material. It was impressive but proved wrong. The visit seemed to be going well until the last day, when the North Korean soldiers caught one of our desk-bound intelligence analysts sketching ramshackle wooden barracks, a clear violation of the inspection procedures which stated that above-ground buildings were off-limits. It was a silly mistake since we did not care about those buildings anyway. The inspection was abruptly cut short and soldiers herded our team into a conference room at the military base and held us there. While I sat arguing with the base's commander, a tough Korean People's Army colonel trained to hate Americans, trying to secure our release, my team members thought they were about to be executed. It was understandable. North Korean soldiers with fixed bayonets — visible through the windows with their faces pressed against the glass — surrounded the conference room. After what seemed like countless hours of verbal pingpong with the colonel, the Foreign Ministry escorts stepped in and we worked together to find a solution. All of our notebooks — which could have included more hidden violations — were secured in an equipment locker and left behind. But we were allowed to take home other information, including videotapes, on the underground complex that we needed to reach a conclusion. As in the case of Kumchang-ri, they can reduce uncertainty but not eliminate it. In the end, our inspection proved that the Defense Intelligence Agency was wrong. After our team returned to Washington, the Clinton administration issued a public statement that there was no hidden facility, nor were the tunnels suitable for one without significant modifications that would take years to complete. But there remained concerns about other suspicious sites in North Korea. While the Clinton administration also planned to inspect them, those visits never happened with the election of President George Bush and advisers, such as John Bolton, who chose to confront the North Koreans about suspected cheating. As a result, the 1994 agreement collapsed and North Korea continued its slow march to becoming a nuclear power. Indeed, North Korean negotiators later joked that Bolton was the father of their nuclear weapons program. In short, the trick for any American president will be to judge whether that uncertainty warrants breaking the deal or whether U.S. security is better served by keeping it. The Kumchang-ri experience took place almost two decades ago, but its lessons are still valid. Despite decades of deep division between the United States and North Korea, there have been instances with foreigners given unique access to that country. For example, in the 1990s, American technicians worked closely with North Korean nuclear scientists to safely store nuclear fuel rods containing bomb-making material in preparation for eventual shipment out of the country. More recently, in 2008, U.S. officials roamed the North Korean countryside to make sure American food aid went to civilians in need, not soldiers. The most important lesson from Kumchang-ri is that verifying a denuclearization deal between Washington and Pyongyang will be impossible without trust-building and reconciliation between the two countries. The North Koreans allowed us to visit and our Foreign Ministry guides stepped in to avert a potential crisis over American inspectors taken hostage because they had a stake in making sure U.S.-North Korean relations stayed on a positive track. A visit by President Clinton's special envoy, former U.S. Defense Secretary William Perry, to Pyongyang a week after my team returned from North Korea led to a meeting between North Korea's No. 2 leader and President Clinton in the Oval Office months later. 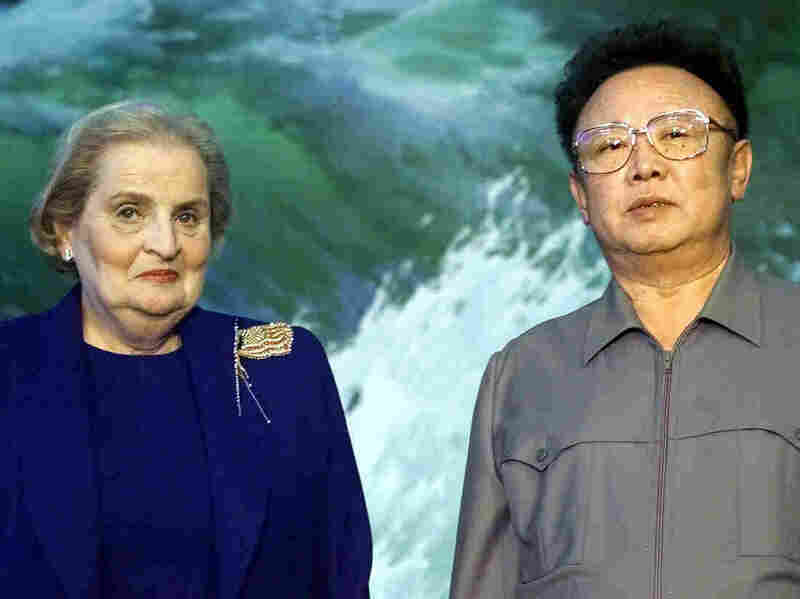 That was followed by a meeting in Pyongyang between Secretary of State Madeleine Albright and Kim Jong Il. North Korea will not be a defeated country. Its cooperation will be essential. 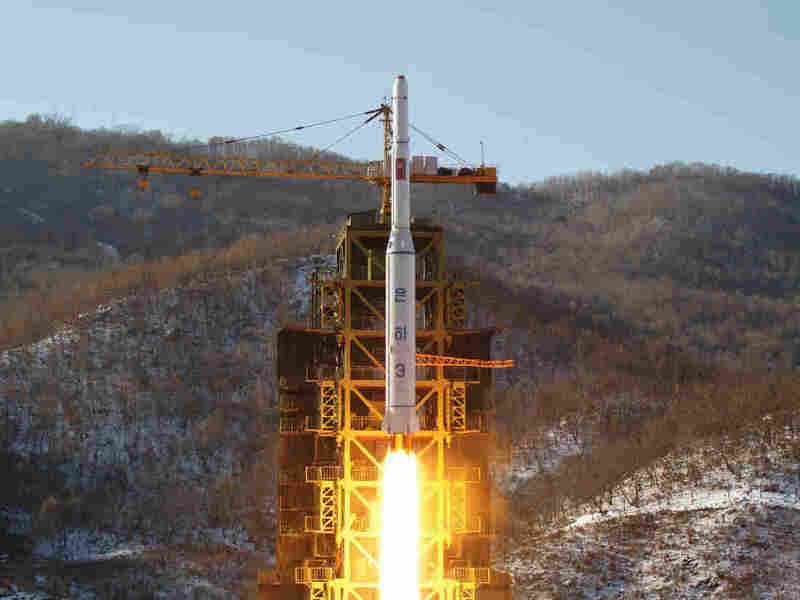 That will only happen if there is a denuclearization deal that also paves the path away from Cold War confrontation toward an improving relationship with the United States.